We accept Mastercard and Visa! To us, paradise is a parking lot. 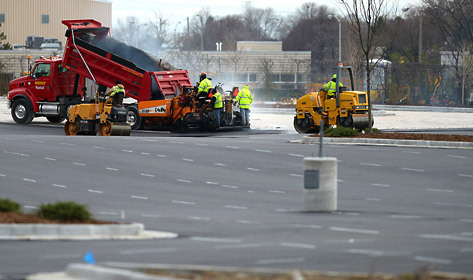 A freshly paved parking lot doesn't just look good, it invites customers to your business. Our state-of-the-art paving equipment and highly trained employees give you a parking lot that enhances your image, day in and day out. See for yourself why we're more than a commercial paving contractor — we're your asphalt paving consultant. Call 1-262-679-3388 today or click here for your free quote. 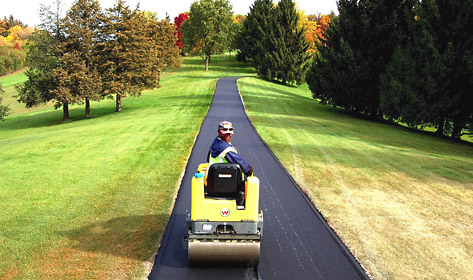 "Over the last decade, Merit Asphalt has been a part of numerous municipal projects and has continually exceeded expectations." — Michael J. Martin, Director of Public Works, Hales Corners, Wis.